Baanabakintu belonged to the Lungfish (Mamba) Clan. This is the most numerous of all the clans and is divided into two branches, the Eel and the Frog, and members of the two branches intermarry as though they were not related. Baanabakintu belonged to the Eel branch. He was born at Ntolomwe, a hamlet in Ggomba County, about 1851 or a little later. His father Mukwanga, a direct descendant of Gabunga, had several wives and thirty children of whom Baanabakintu was the eldest, the son of his first wife, Kusuubiza of the Seed (Nvuma) clan. When Baanabakintu was about sixteen, his uncle Jjagwe came to Ntolomwe on a visit and, at the youth’s own request, took his nephew away to live with him at Mityana where the youth entered the service of the county chief. In this service he did well, receiving promotion and, eventually, a small fief called Kiwanga, which carried with it the duty of supervising the servants who lived outside the chief’s enclosure, the wood-cutters, porters and cooks. One of the witnesses at the Apostolic Process stated that Baanabakintu was unmarried. The clan-chiefs, however, contradict this and give his wife’s name as Bazaalawaaluggya. Luke Baanabakintu is described as being clever and honest, of medium height and dark colouring, with a deep but cheerful voice and a round face, bright and alert but commanding respect. Living as he did, close to Matthias Kalemba and attending in¬structions with him, first at the Protestant and later at the Catholic mission, he developed a great affection for his zealous fellow Christian. He received the sacrament with Kalemba and two others from Pere Girault on the feast of Pentecost, 28 May 1882. He assisted Matthias in the instruction of catechumens, taking over from him when the latter’s duties called him away to the capital and, as regularly as he could, himself made the twelve hours’ journey to receive the sacraments of Penance and the Eucha¬rist. At the time of his martyrdom he was between thirty and thirty five years old. 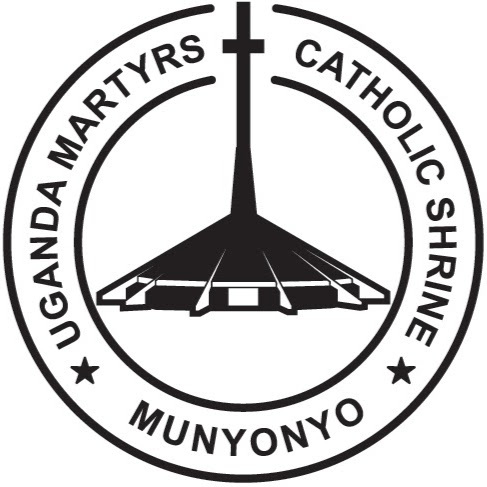 Luke Baanabakintu and Noa Mawaggali in particular, used to walk from Mityana to Nalukolongo every week, a distance of 42 miles or 64 kilometers, for Sunday masses and Sunday sermons. Either Baanabakintu or Mawaggali had to set off on this tedious and difficult journey on Friday and spend the night at Nswanjere. He would arrive at Kampala (Mmengo) on Saturday evening, spending the night at Mulumba’s official residence near the palace. He had to attend the Sunday Mass and endeavour to commit the sermon to memory and then after Mass he would start off for Mityana spending the night at the Nswanjere Christian station where he had spent the night on his way to Mmengo. On arriving at Mityana the messenger had to relate the whole memorized sermon to Mulumba word by word. Who in turn had to revise it and deliver it at Mityana prayer center next Sunday. Most of the time, it was Luke Baanabakintu who was being sent to Nalukolongo on account of his sharp memory. When the persecution broke out, Luke Baanabakintu, who had come up to Mmengo with the Mulumba and the county chief but been sent back to Mityana on some errand, was actually on the road back to Mmengo when he heard the news of the arrest of the Christians. He stayed the night of 25 May with a Christian friend, Cyprien Kamya, who had been baptized together with him and Matthias almost four years earlier, on 28 May 1882. The two friends had much to say to each other and spent a con¬siderable part of the night discussing their religion. Early next morn¬ing, Luke took leave of his host and continued his journey back to the capital. Before he reached it, he heard the news about the Kabaka’s attack upon Ssebuggwaawo and about the threat to arrest all Christians. Scorning the opportunity to go into hiding, he continued his journey and gave himself up to his chief and said, ‘There is no need to place us under restraint. We shall not run away, because we would not wish to get you into trouble’. Luke remained at Mmengo where the group from Munyonyo got him and together led to Namugongo where they were burnt alive on the Ascension Thursday, 3rd June 1886.